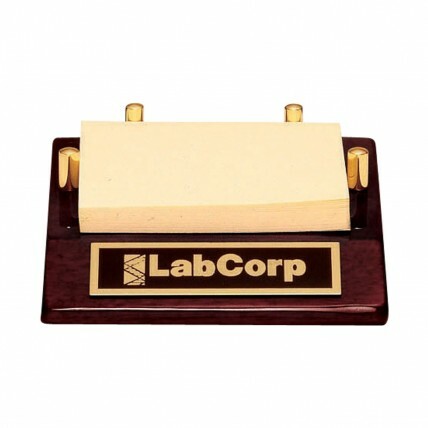 Give them a taste of your fine business sense with a Rosewood Notepad Holder! This award comes comes with a personalized, engravable, black brass plate. This little notepad holder makes a great and useful office gift. Give your employees the gift of notes quick at hand!